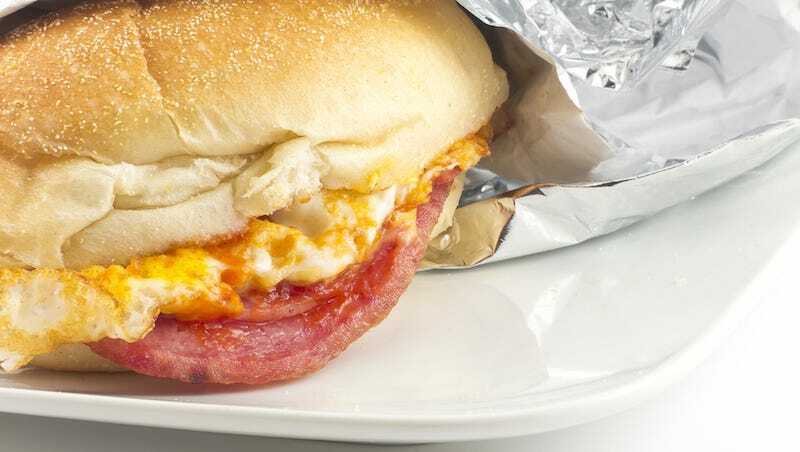 An employee at Case Pork Roll Co. in Trenton, New Jersey has been fired for flatulence, and that’s not a joke; it’s the world we live in. Louann Clem told The Home News Tribune that her husband Richard’s gastric bypass surgery led him to suffer “extreme gas and uncontrollable diarrhea”—side effects that sound hellish even if one doesn’t work in a pork roll factory. Soon after his return to work following the surgery, Clem says that the factory’s president Thomas Dolan began to harass the couple after the smell of the man’s farts overtook the smell of the pork rolls, and told the man to start working from home, which—I’m sorry—does not seem so unreasonable? The comments continued until Richard Clem was fired on Feb. 28, 2014. Louann quit the same day because of the “harassment and discrimination” her husband endured, the lawsuit says. The couple have filed discrimination complaints with the Equal Employment Opportunity Commission (Louann’s has been rejected, and the husband’s is still pending), and is suing under the Americans with Disabilities Act and a state Law Against Discrimination, since Richard was 420 pounds and had an obesity disability. Without a doubt, it’ll take some investifarting to get to the Bottom of this Case (Pork Roll Co.).